This week’s review is the weighty biography of one of the best recognized names in recent western culture, simply titled Dr. Spock - An American Life, it was written by Thomas Maier. 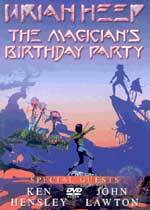 Published first in 1998, this is the most current reprint (ISBN 0-465-04315-1) and is in paperback format. The book begins with a brief look into the Spock family tree, and in particular, Spock’s mother’s, as she was the dominant (and domineering) influence in the lives of her children, of whom Dr. Benjamin was the eldest. The life of the family, and the growing up of Benjamin, is particularly well detailed with the view that we are all products of nature and nurture. The secret lies in the balance, a balance that was not there for young Benjamin Spock. As the book is following a time-line, the reader follows the maturation of Dr. Spock and chronicles the events that begin to mould his life and that of his wife and family. The post war upheavals in American society are also detailed, with great empathy, by the biographer, and it becomes very apparent just why Dr. Spock and the contemporary society he was living in became at crossed purposes. A society that used its CIA to try and prove that all dissidents were subversive Communists! Spock had become a ‘free thinker’ without having to have the label. His own personal torment within his marriage is also examined in a way that makes it very understandable. The loneliness of the partner of an alcoholic is shown in all its psychological intensity, again with a non-judgemental approach. Later in the book, and in his life, when the dysfunctional element including schizophrenia showed itself in his grandchildren, again the helplessness that ‘ordinary’ people express is shown to exist in the man whom the world thought knew everything. In some ways it is hard for the public to accept that. How difficult was it for Dr. Spock? The book does give some indication of that. 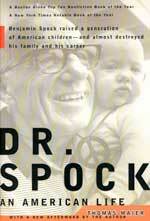 With all of us being one of Dr. Spock’s children, or our children were, the book has an instant appeal. The careful way it is written is a lesson that biographers throughout the world should take note. By the time you are one third into this weighty tome, you have gained an insight into Dr. Spock, and insight that helps you understand some of his decisions later in life, decisions that were not mainstream. Even his choice of paediatrics as a profession was undoubtedly driven, in part, if not in whole, from his mother’s devotion to children and her deference to the white-coated medical society. By becoming a children’s doctor he was both pleasing her and proving himself to her. The review copy was made available by Bookazine and despite the hefty RRP of B. 850, this is one book that retains its appeal right to the end. Dr. Benjamin Spock was undoubtedly one of the great men of the last century, and this book should be read to ensure that we do not forget some of the lessons he taught, nor forget the man himself. This DVD goes to prove - come what may - that you cannot keep a good band down. In the past fourteen years, although with a steady line-up and consistent world wide touring, Uriah Heep have only released three new studio albums, which have actually been critically well received, but only did moderate sales, as opposed to six studio albums in their first three formative years, added to which was the groundbreaking double live album. But live the boys can still pack concert halls across the globe, with their full-on stage shows and enthusiastic performances. The Magician’s Birthday Party was recorded at the Shepherds Bush Empire in London, England on 7th December 2001 to celebrate thirty-two years of the monster on this planet that Uriah Heep is. They went through five drummers, six bassists, four keyboard players, four lead vocalists, but only one lead guitarist, quite an achievement. (Making the “Spinal Tap” drum stool look secure.) To be fair, the current line-up of Uriah Heep has been together (with barely a hick up) now since 1988. The event had been sold out weeks in advance by the loyal Heep fans, and the band itself had promised a special show. They delivered in no uncertain terms, giving a powerful performance that belied their mounting years. (Watching the DVD concert section of the show one cannot help but make comparisons between the appearance of the band and their counterparts in the spoof band “Strange Fruit” from the movie ‘Still Crazy’, with the resemblance between drummer Lee Kerslake and his film double Timothy Spall, keyboard player Phil Lanzon and Stephen Rea, and especially lead vocalist Bernie Shaw and the superbly over the top Bill Nighy. It is quite hard to not expect to glance sideways and expect Billy Connelly to be part of the road crew.) The band gives a very energetic performance, playing songs from as far back as their third album “Look at Yourself” (1971). With the classic song “July Morning” Mick Box delivers a superb guitar solo to bring the song to a dramatic climax, whilst Bernie Shaw mirrors the exacting high falsetto vocals of sadly departed original Heep vocalist David Byron. Before that the band plays “Between two Worlds” from their last studio album, the wonderfully monickered “Sonic Origami” (1998). Uriah Heep had also promised surprises during the show, and no diehard fan of the band could possibly have been disappointed by what they got. First up during “Between Two Worlds” Thijs Van Leer, formally of Dutch super group ‘Focus’, gets up on stage to play the flute parts and as a special treat gives a few of his customized yodels. Then after a couple more songs the crowd goes totally bananas as original keyboardist/slide guitarist/vocalist/and for a time chief songwriter (for Heep’s ninth album “High and Mighty” 1976 he wrote all the songs) Ken Hensley gets up on stage to play with the band for the first time in twenty-one years. The years roll back and Ken Hensley fits musically back into the band like a velvet glove, switching between vocals, keyboards, and some wonderful slide guitar, especially during the epic “Circle of Hands”. Now as a six piece rock band (with the edition of three beautiful back up singers, who are certainly easier on the eye than some of the aging rock stars on the stage) they bring the set proper to a rousing conclusion with a definitive version of “The Magician’s Birthday”, which gives each member of the band a solo opportunity. Encore time brings the whole entourage back on stage with the addition of Heep’s vocalist for three studio albums and three years of live work, John Lawton (who had miraculously grown his hair back for the night), for two more rockers to send the crowd home into the cold London night deliriously happy. Of course you do not have to do that as you can now watch it at your leisure in the comfort of your home - thanks to the wonders of DVD. The extras are worth the price of the DVD on their own with a filmed visit of the band to the U. S. A, Rock vault of other bands that have DVD on the Classic Rock Label, a bonus track in studio form, and a documentary of a Uriah Heep Fan Convention with the band in attendance. When you look at the set list and notice which songs Uriah Heep could afford to leave out, you get an idea of how strong the Heep back catalogue is. How many other bands could play a two-hour set at a celebration concert and still leave out such classics as ‘Gypsy’, ‘Lady in Black’ and ‘The Wizard’? Most other bands would have to build their whole set round them. It is thirty-two years on the road now for Uriah Heep, and if this DVD is anything to go by, there is plenty of life in the old Dog for a few more years to come. Guest Artists: Thijs Van Leer/Flute, John Lawton/Vocals, Ken Hensley/Guitar and Keyboards.